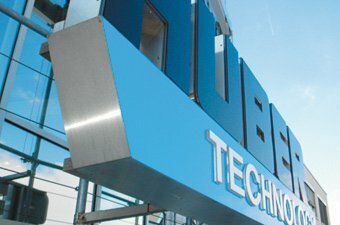 HUBER SE, headquartered in Berching, Germany, is a worldwide active company in the field of water, wastewater and sludge treatment. At our headquarters in Berching, 700 employees develop and manufacture products, manage projects and develop system solutions for municipalities and industries. With more than 40,000 installations worldwide HUBER is one of the internationally leading companies in this field. HUBER's adapted treatment processes contribute to the solution of the global water problems. HUBER supports its customers in about 60 countries around the world through subsidiaries, offices or representatives by providing know-how and innovative products for water, wastewater and sludge treatment. The company has been family owned for more than 175 years and today utilises at its headquarters modern production facilities where a wide range of high quality products for the international markets are manufactured with the most advanced manufacturing technology and by highly qualified employees. As a result of continuous further improvement of its products and new development of requirements-oriented machines and plants, HUBER is now able to offer a full range of products for the whole water sector and the worldwide markets. 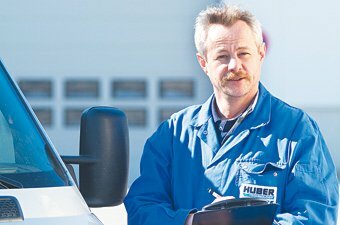 To ensure the customer’s long-term benefit, the HUBER Global Service guarantees the problem-free and reliable operation of the customer's plants through close cooperation with the local HUBER representations around the world. In addition to the extensive experience and expertise acquired in project planning and supply of products for centralised wastewater treatment plants, HUBER presents itself also as a competent partner for the implementation of semi-centralised and decentralised wastewater treatment concepts. Sustainability in the field of water utilization is a primary concern of HUBER and is reflected in a variety of HUBER SOLUTIONS offered for wastewater reuse and recovery of nutrients from wastewater and sludge. As a pioneer, HUBER has established many patented innovations worldwide while HUBER Global Service has built an expert support group. With a total of approximately 1,100 employees world-wide HUBER installations are successfully operated on all continents. More than 60 subsidiaries, offices and representations worldwide are available to perfectly meet the customer’s specific requirements all over the globe. Below, you may view several HUBER SE videos directly in your browser.